Pregnancy and Infant Loss Awareness Day: How to honor your loss. Pregnancy and Infant Loss Awareness Day is October 15 and, thanks to social media, it has become an increasingly public day. Whether you openly discuss your miscarriage, stillbirth or neonatal loss or keep your loss to yourself, there is a wide range of ways to pay tribute to your little one. Every year on October 15th at 7pm wherever you are, there is an International Wave of Light. Light a candle at 7pm and keep in burning for an hour. You will be contributing to the wave of light around the world to honor our babies gone too soon. When your candle goes out candles will be lit by a fellow loss mom in the next time zone. 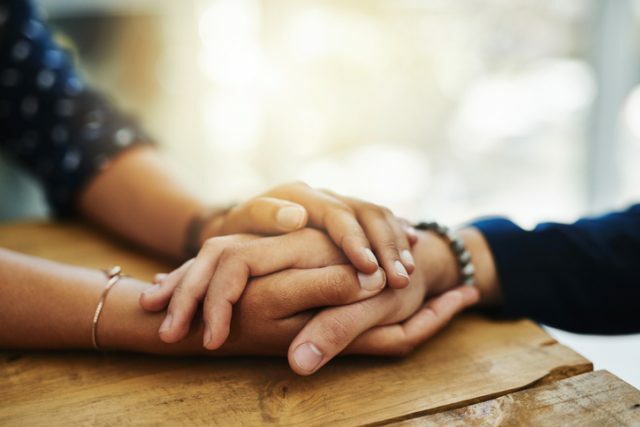 This small gesture can make you feel connected to a community of women who’ve gone through a similar situation as yours. I’ve seen fellow loss moms post on social media, asking friends and family members to do a good deed in honor of the baby they lost. I love when people comment on these posts saying what they’ve done in honor of that lost life. As a loss mom, it’s so comforting to see good deeds born out of a terrible situation. If you’re more of a private person make it a point to do your own good deeds on October 15. Buy a stranger’s coffee or leave someone a nice note– anything to spread kindness in your baby’s name. Pregnancy and Infant Loss Awareness Day is your chance to share the story of your baby. Write out what happened to you and share it where you feel comfortable. If it’s easier for you to speak than write, make a point to talk about your baby on this day. If you’re not comfortable sharing all the details there are sites like Still Standing Magazine that have stories of loss you can share. Artists like Luminous Light Studio have created gorgeous graphics you can use for “telling” your story without saying a word. Many loss moms have a symbol that reminds them of their loss– a butterfly, rainbows, ladybugs, even just a color. If you haven’t tried it, you’d be surprised how healing creating something can be. Depending on what your loss symbol is try drawing, painting, carving, baking, doing something that creates a tangible object to symbolize your loss. If all else fails buy yourself something small to memorialize the day and how you’re feeling. If you do nothing else on Pregnancy and Infant Loss Awareness Day, take a few moments for yourself. Honor what you’ve been through. Acknowledge what you lost. Cry out whatever feelings you’ve kept in. Give yourself permission to feel however you want to feel and do whatever you need to do. As adults, and especially as women, we tend to put everyone else in our lives first. October 15 is a good day to honor what you’ve been through. Take time to acknowledge what you lost when you said goodbye to the hopes and dreams you had for your sweet baby. Cry in the shower or take a walk alone or even just two extra seconds of quiet wherever you can find them. Remind yourself that you’re a strong momma, whether you have children in your arms or in your heart. There’s a whole army of moms going through the same feelings as you and the best thing we can do is hold each other up through the pain.